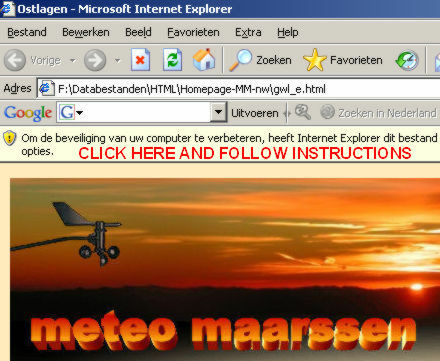 Welcome to the homepage of Meteo Maarssen. Meteo Maarssen is a Dutch amateur weather-station located in the central part of the Netherlands. We are mainly serving the Dutch marked, but some of our most visited pages in general interest will be available in English in the near furture. Be welcome for general questions or request.